Critics of the payday lending industry have argued that without these underwriting standards, the Consumer Financial Protection Bureau’s new regulations are effectively toothless. The main criticism of the payday lending industry was that many borrowers would take months to repay a loan that was originally designed only to last a couple of weeks, renewing the loan over and over again. “This proposal is not a tweak to the existing rule…it’s a complete dismantling of the consumer protections (the bureau) finalized in 2017,” said Alex Horowitz, a researcher with Pew Charitable Trusts, a think tank whose research on the industry was relied on heavily by the bureau when the original rules were unveiled a year and a half ago. The announcement was the first abolition of regulations under the CFPB’s new director, Kathy Kraninger, who took over the bureau late last year. Mick Mulvaney, who was appointed by President Donald Trump’s as acting director of the bureau in late 2017, announced a year ago that the bureau was intending to revisit the rules. 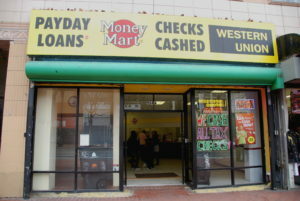 As a Congressman from South Carolina, Mulvaney received tens of thousands of dollars in political donations from the payday lending industry, raising concerns he was too connected to the industry to appropriately regulate it. CFPB did propose keeping one part of the payday lending regulations: a ban on the industry from making multiple debits on a borrower’s bank account. READ MORE: Trump says he launched an “economic boom.” Here’s what we know.